Innovative Manufacturing Inc. was established in 1948 as Insulmastic Building Products, Ltd. We began to provide waterproofing and corrosion protection products for the construction and industrial markets from the original site in Vancouver on the south shores of False Creek. Insulmastic Building Products, Ltd. moved to its present location on Annacis Island in Delta in 1985. Our 57,000 sq. ft. manufacturing plant and warehouse is centrally located in the Lower Mainland, which enables fast delivery to local and national customers. We are strategically linked to the Port of Vancouver for delivery to worldwide customers. We have a branch location in Edmonton as well as distributors and warehouse facilities across North America and around the world. In 2005, we changed our name to Innovative Manufacturing Inc. to reflect our continuous development of new products and markets. We promote close contact with our customers and, with the resources of our lab personnel, we continue to develop and supply unique coatings, tapes and mastics for a wide range of industrial uses. 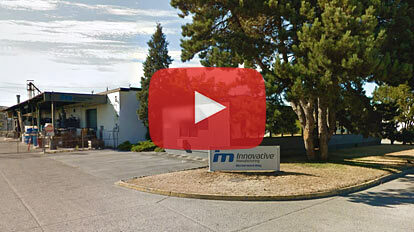 Innovative has evolved over its 60 years into a multifaceted corporation. We now manufacture and distribute a broad range of coatings, specialty cements, and tapes for the wood coating, roofing, concrete, automotive, as well as the many sectors of the maritime industries. Our Marine Division was established in 1996 with a variety of products designed and manufactured in Canada to protect and preserve ocean going vessels and their crews. These products serve to protect against corrosion, penetration of water into the holds of freighters as well as to ensure the integrity of fuel lines and other conduits. This group of products is marketed under the direction of our Marine Division and in partnership with our many worldwide distributors. In recent years these products are being used in a variety of Industrial applications, and this is a growing market. Any industrial installation with constituent parts exposed to the destructive effects of weather and/or water will benefit from the protection afforded by our products. Markets that are benefitting from our Innovative solutions include water main and commercial plumbing installations, fertilizer distribution equipment, and specialized delivery systems for the oil and gas “fracking” industry. At Innovative, we invest in research and the development of new or improved products for corrosion protection, sealing and repair problems. 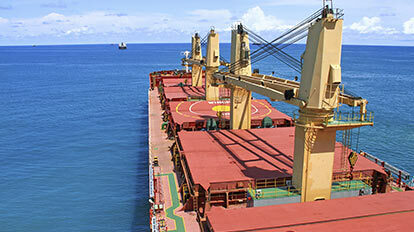 We are constantly seeking innovative ways to economically and easily solve problems on board, or on site.